Of all of the clothes that your baby wears on a regular basis, leggings are by far the coolest ones. The neat thing about them is that they don’t have to be boring. Many are printed with cheerful messages, most of which are actually funny. Take the Little Stinker model we’ve showcased below! Whenever you are in the market for such a product, you need to ensure that it addresses your baby perfectly. It needs to be comfortable, easy to put on and take off, and only after having met these requirements can you look for a cool design. 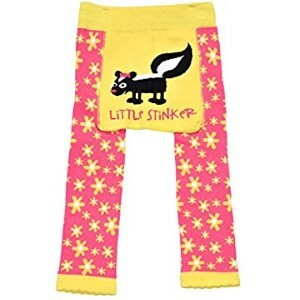 The Little Stinker-Skunk Infant Leggings by LazyOne in Size Large is a pair of leggings made of preshrunk cotton, which makes them extra comfortable for your child. On the bottom, the item has a colorful design to keep your kid interested and engaged whenever you have to sit him at the table. The product can be cleaned in a washing machine, but it has to be cold. 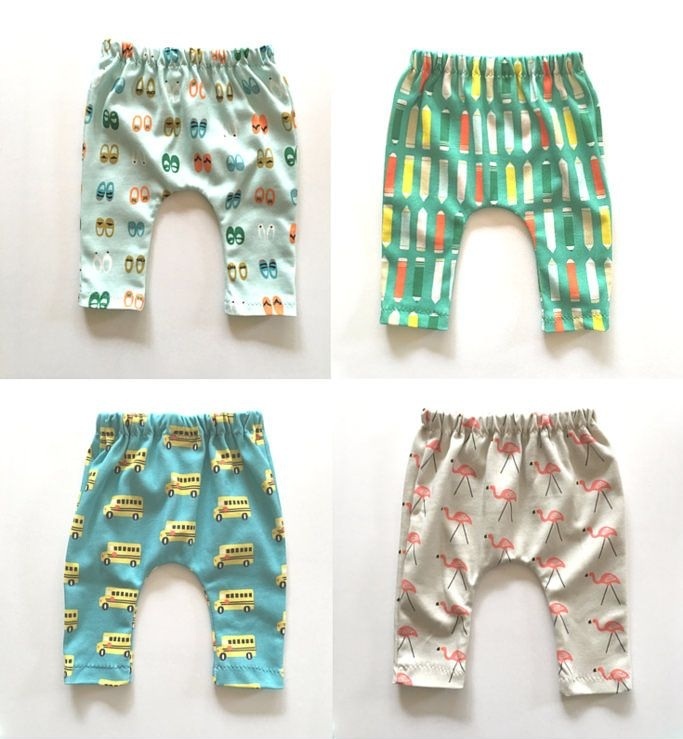 The infant leggings are dyed using AZO free dyes so that your kid can enjoy childhood without any toxic hazards. Some of the models have puns on the back, so people on the street can have fun while you carry your child. 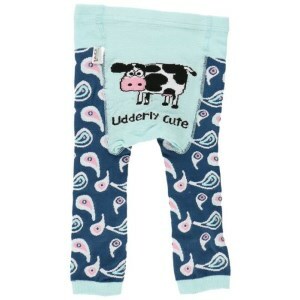 The Udderly Cute – Cow Infant Leggings by LazyOne in Size Small comes with a cow print on its bottom so that your kid can learn about animals while wearing the leggings. In addition, the leggings have a colorful pattern that is made to keep your kid active throughout the day, through the vivid, happy colors. The item can be cleaned in the washing machine, on the condition that you only clean it with cold water. Otherwise, your kid is ready for fun. The AZO-free dyes are used exclusively to protect your kid from developing any kind of health problems because of toxic materials. 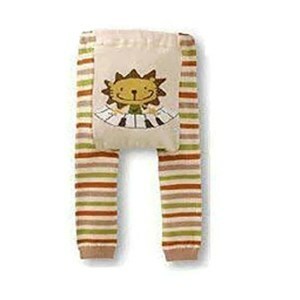 The Wrapables Baby & Toddler Leggings, Piano Lion is a wrappable pair of leggings for infants. The item has different patterns, all of which come in pastel colors to give your child the energy boost needed, as well as to keep him preoccupied throughout the day. The leggings are made of cotton, polyester, and spandex, and they are perfect for colder weather. 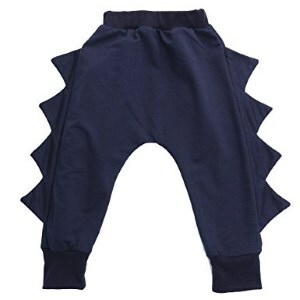 If you’ve decided to take your toddler out for a walk, but it’s windy, and a little cold, this pair of leggings should keep your child warm. The Baby Boys Girls Christmas Colorful Deers Print Harem Pants are thick and long. They are suitable both for boys and girls, and they come with a colorful design that is perfect for Christmas. The material is high-quality cotton, and the designs are bright and eye-catching. Different shades of pink and red make these pants suitable for the cold season. The item comes in different sizes so that you can choose the best one for your kid. Pro tip: choose a slightly bigger size than what your kid is right now so that the pants can fit him the entire winter. These trousers are for baby boys. They are navy blue and can either be uni or with white stripes. There are two instances you will put these trousers on your kid: either for everyday use inside the house or for theme parties with animals. Before ordering the pants, make sure to check the correct sizes depending on your geographic area, as the ones displayed online are Asian sizes and they can differ from American and European people. The pants can be cleaned in the washing machine, and their model is designed to be comfortable for your kid. Leggings, just like onesies, have a fairly strong tradition when it comes to dressing the babies. Simple and practical, they are always among the first items to be picked when the arrival is near. Even so, trying to find the right clothing for toddlers and babies is a difficult task. The market is filled with so many brands and models that you can hardly estimate the time you would need to go through the offer. So you could find yourself in the paradoxical situation where you’re searching for the simplest item and even though everyone has it, you can’t decide wich one you should choose. Parents don’t usually leave things to chance; they’re very much determined to find what’s best for their children. But if you insist on doing the research all by yourself, it will become frustrating and time-consuming. We happen to be in the position to help you. We’ve seen the offer and have put together a short guide concerning the main issues that you have to address. Read it and you’ll get a better idea of what you need to keep in mind when you’re searching for the ideal pair of baby leggings. After going through the reviews and researching the brands and models on the market, we realized that the main difficulties in choosing baby leggings would be sorted out by paying attention to the topics mentioned below. Since you’re dealing with a baby, the fabric used for the construction of leggings has a great importance. Babies have sensitive skin, so you must read the labels carefully and make sure the material is suitable. The comfort and safety of your little one are a top priority, and you can ensure them by selecting the best fabric for baby leggings. Soft corduroy is one of the durable materials that is fine for toddlers. It is usually made of cotton but can sometimes come in blends of cotton and polyester. You can also pick broadcloth if it is of good quality. It’s a classic fabric for baby clothing, and it’s also a variety of 100% cotton or cotton & polyester. Using gingham and seersucker is also recommended for young family members. Fleece is also great for warm clothes and soft accessories. It’s also easy to sew, in case you have in mind to make the garments yourself. Most parents nowadays have turned to organic cotton as a first choice, since the use of pesticides and petrochemicals in synthetic fibers, as well as flame retardants and finishing chemicals, had them thinking about the potential impact on babies’ health and the environment. Whatever you choose, soft fabrics are the best for babies’ skin. 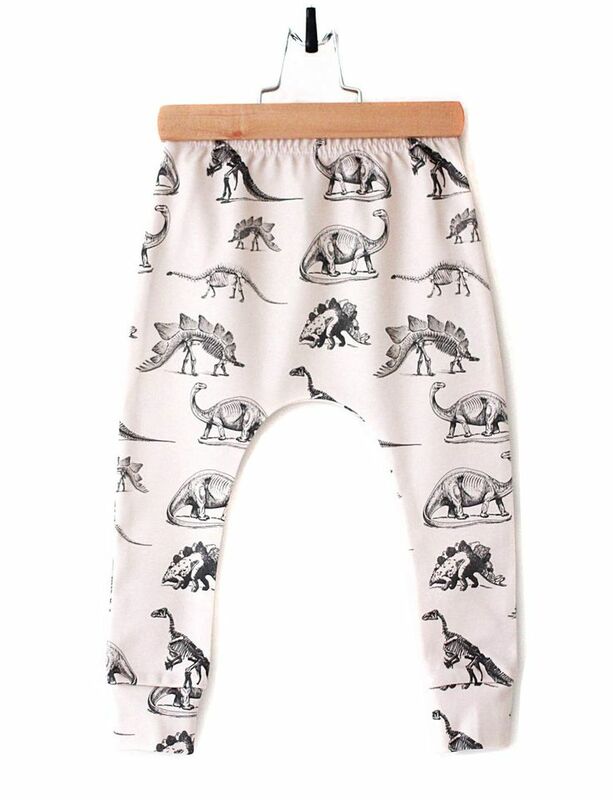 As soon as the baby can crawl or walk, you should choose a more enduring material, because as they venture into exploration, their cool baby leggings will be the first to fall victim to new stretches and moves. Being able to pick the right size for an infant isn’t easy at first. You can’t take the newborn into a fitting room to make a selection. But you’ll soon get used to the sizing charts designed specifically for the little ones. They take the age, the height, and the weight into account, although it is an approximate measurement. Manufacturers often seem to have very different babies at home, so there will be significant differences. You’ll have to make adjustments whenever you consider necessary. Also, when going from 00000 to 1, consider the fact that the babies are still in their diapers and you need to change them a lot. We have to stress out the importance of baby clothes sizing. If there’s a line across their belly, it means the elastic or buttons have been digging into their skin, and that they’re probably unhappy about it. It’s sometimes better if you choose one size up because they’re gonna grow into it anyway. Just pay attention to the change of season. Otherwise, you could be spending more instead of saving. The fashion, as well as the norm of color-gender, is now in steep decline. After almost a century in which blue and pink were the defining colors for newborns, parents have decided to drop the tiresome mainstream. So if you’re after some cool baby boy leggings, you don’t need to search the market for the blue ones. Many manufacturers have become aware of the change that is taking place and are now issuing neuter color clothing and unisex items. If you prefer strong, solid color clothing for your baby, then tones of yellow, green and orange are available, and they look great on babies. Dots and stripes, fruity or flowery ornaments are also fashionable. Some parents will prefer pastel tones. Besides being safe from gender stereotypes, neuter gender color clothing can also be a lot of fun, because there are plenty of witty and hilarious ideas to put on them. Also, people have noticed that it makes babies blend in better. Leggings are simple and practical, and that’s how they should stay. If you intend to choose a pair of knitted baby leggings you must be sure that the wool is soft enough and has the same overall quality. If you think of sewing them yourself, it might take a while, and you could end up desperate and disappointed, depending on your skills. Because of the safety hazards in some of baby clothes, manufacturing companies have sometimes been forced to withdraw the items from the shelves. The best baby leggings are those that have no drawstrings. If they do, then you must check that they can’t be pulled on one side. Midpoint sewing has to be well done. Threads and loops hanging from the pockets or that might unraveling are also dangerous. Thread can cause lacerations, or it can hook and catch. Avoid decorations or at least make sure that they are firmly attached to the leggings. They, too, are a choking hazard. Since these clothes are sometimes treated before they get to the store, it is recommended that you wash them before using them for the first time. Sometimes the language on the label can be deceiving. Chemical compounds are often to be found behind words that describe the fabric as antibacterial, antimicrobial, odor-resistant, stain-proof, static-resistant, moisture-wicking and wrinkle-free.